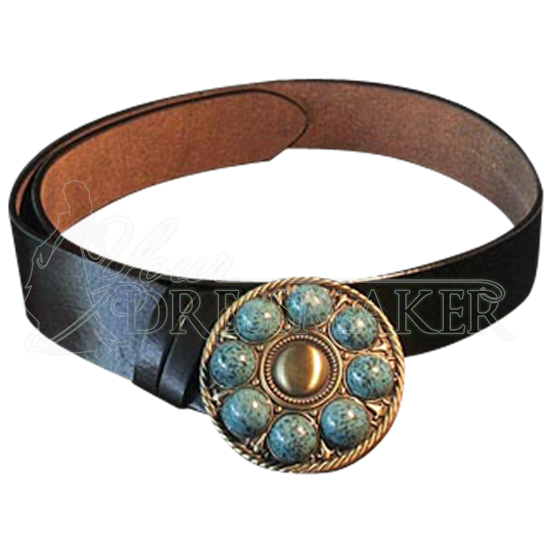 The Circle Stones Buckle Belt features a unique design on its buckle. The circular metal buckle displays an inlaid ring of round, pale stones speckled with a darker color, giving this historic reenactment accessory its distinct style. 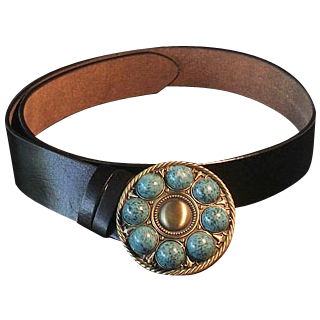 Handcrafted from high quality cowhide leather, the body of this belt is a sturdy essential that will suit medieval LARP outfits, Renaissance festival ensembles, and more, while the metal buckle makes this accessory fashionably stand out however it is worn. The leather belt is left unpunched for a self customizable fit.